Thanks and wow…prime example of poor web design (and poor web user habits). The page had me at “Hello” and I didn’t bother scrolling through the entire thing - I just wanted to get to work! Any timeline for exporting to Marlin gcode? 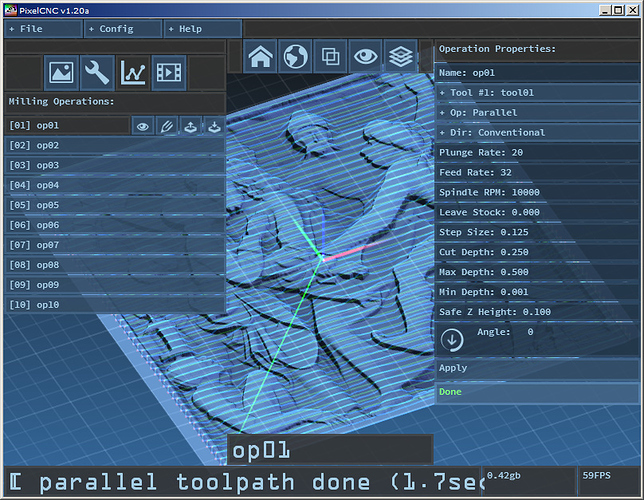 Allowing users to output the proper G-code for their specific machine(s) is most definitely a part of the core PixelCNC vision, and is fast approaching as one of the remaining features left to implement. Hopefully post processor support will be in by the holiday season, at the latest. 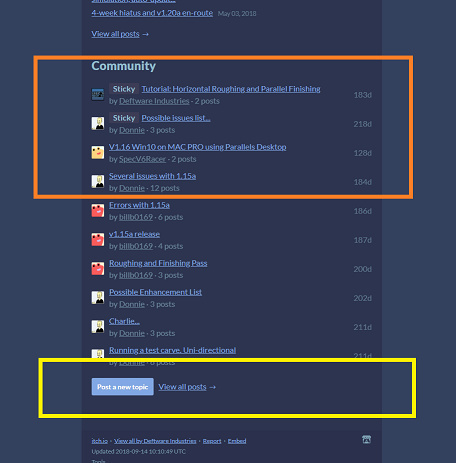 The support for CNC posts, which will include a built-in post editor for users to create posts if they are not included for their specific machine, has been on the development roadmap since the beginning as a ‘primary feature’, of which there are several others. 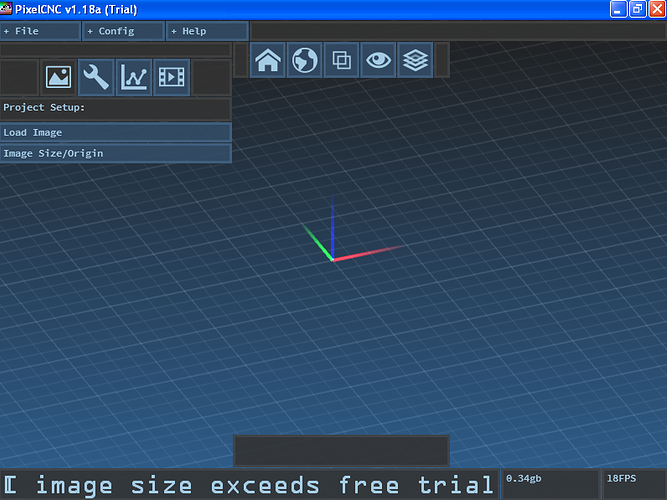 Once all primary features are implemented PixelCNC will enter the beta phase of its development. 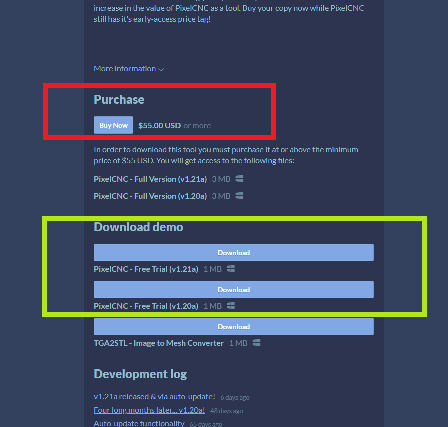 As these primary features are added so increases the value of PixelCNC as a whole - which is reflected in the price increases that come with new features being implemented. Customers who buy at the earlier prices get all new added features for free, at no extra cost. New customers pay full price. This works two ways: it shows appreciation to early customers for their support while simultaneously giving potential customers an incentive to buy now, spurring sales in the near-term. Also, I’m debating integrating an automatic post-sharing system alongside the post editor where users can submit their custom posts to a central 3rd-party post library. 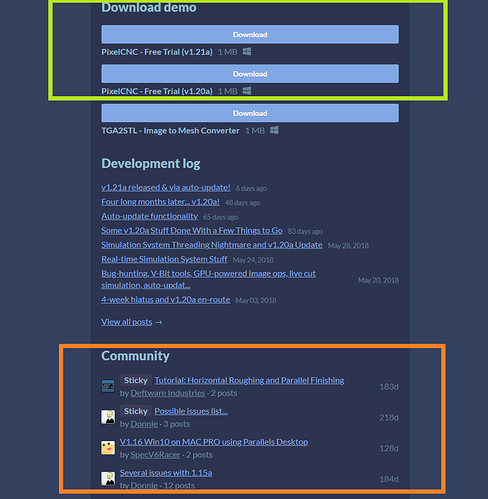 The library would then be browsable from within PixelCNC so that users can seek out unique posts to install without having to hunt them down on forums or create them from scratch themselves. This is an example of a ‘secondary feature’, where supporting posts at all takes precedence and this would be a sort of bonus that likely would come later, depending on the complexity of the solution that is devised to make it happen. It would definitely make it a lot easier for users to share posts. 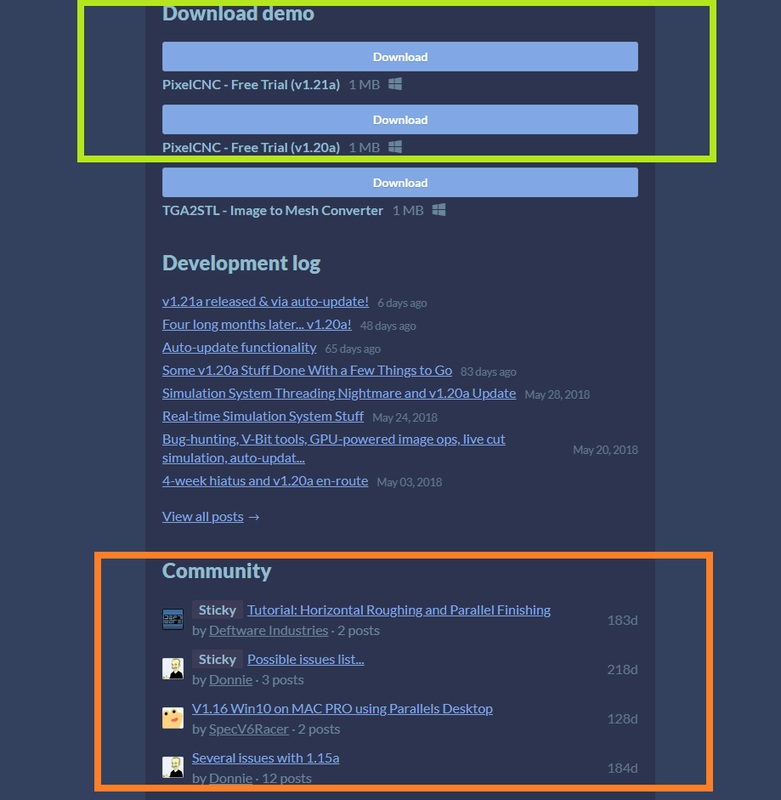 The support for CNC posts, which will include a built-in post editor for users to create posts if they are not included for their specific machine, has been on the development roadmap since the beginning as a ‘primary feature’, of which there are several others. This is a bad idea and one that would kill any interest I might have in your product. Your product is useless without a post processor (or its equivalent) for a given machine. Fortunately, there are lots of other CAM programs that are customer friendly to choose from. Most of the post processors I deal with have a built in post processor editor. It’s called, Notepad. Thanks for the feedback. I never said that posts wouldn’t be simple text files, just that there’d be a built-in wizard for quickly modifying/creating posts in addition to post processing support. I’ve been looking at adopting an existing post format, instead of coming up with a new one from scratch, so that all of the existing posts in that format for various machines would be usable with PixelCNC. Unless you know of a better post format that would be more ideal? Yes, you can always just use other CAM software, but only to do what other CAM software does. You would not be able to do the things PixelCNC uniquely enables users to do, however, which is the very reason I felt the need for it to exist in the first place. And I think I should wait a day before responding to posts. And I did have nice day, Thanks. Actually, there was another idea I had a while back. I was thinking of coming up with a very simple post format, more template-oriented the way that PostHASTE situates theirs, and would just write a converter utility that enables me to convert a library of existing posts into the simple format. This would be my fallback if there were any sort of legality issue utilizing an existing post format. Personally, I believe there should be an open post format, so that they can be interchangeable across all CAM packages that support the format. I believe there should be an open post format, so that they can be interchangeable across all CAM packages that support the format. Yes. Let me say that again. Yes a common format would be great. Unfortunately, many vendors still try to lock their customers into proprietary formats. My comments above came from trying to modify an Autodesk post processor. They have a build program that they use to change their PP. Hi Tim, can I ask why you are showing me UGS?